A few weeks ago, we hosted some friends over at our house for an “end of summer” gathering. 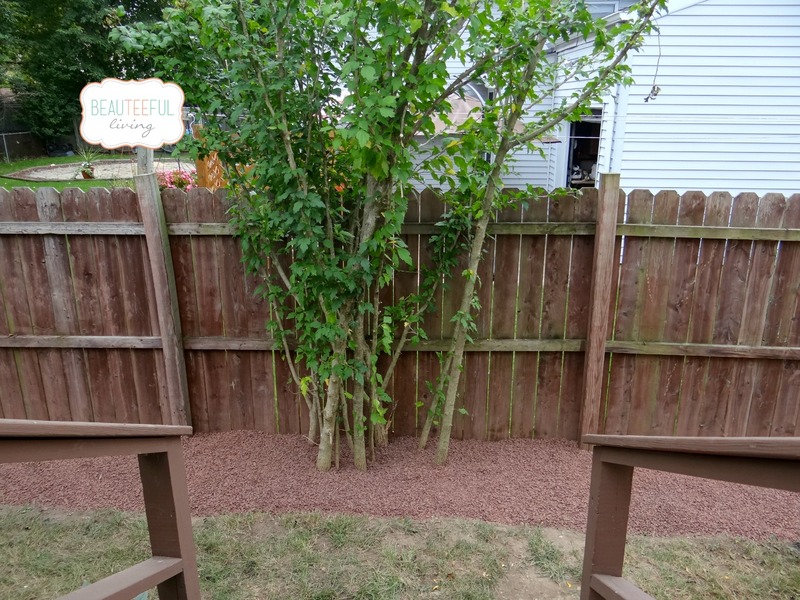 Having seen so many updates to our backyard in recent years, one of our friends asked, “Is there anything else left to do in this backyard?” My eyebrows raised and I couldn’t help but snicker inside. 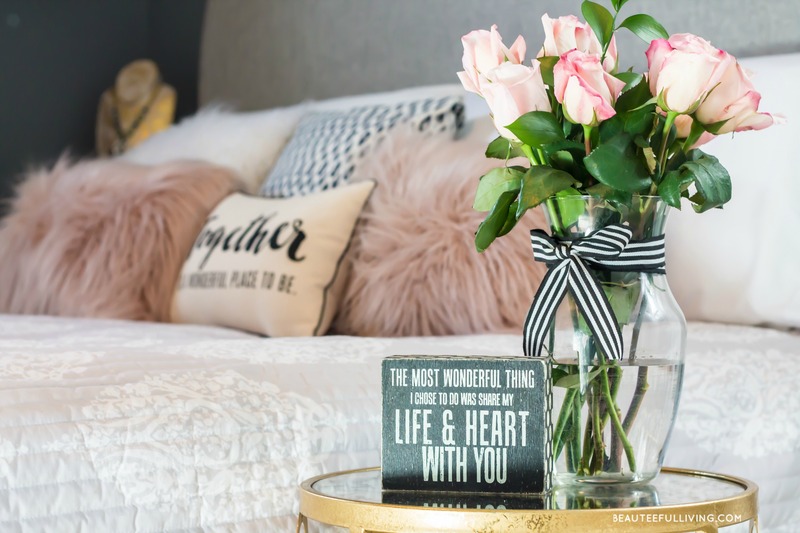 Is anything ever done when it comes to the home? See that round table with the pineapple? Behind it is a gate leading to our side yard. 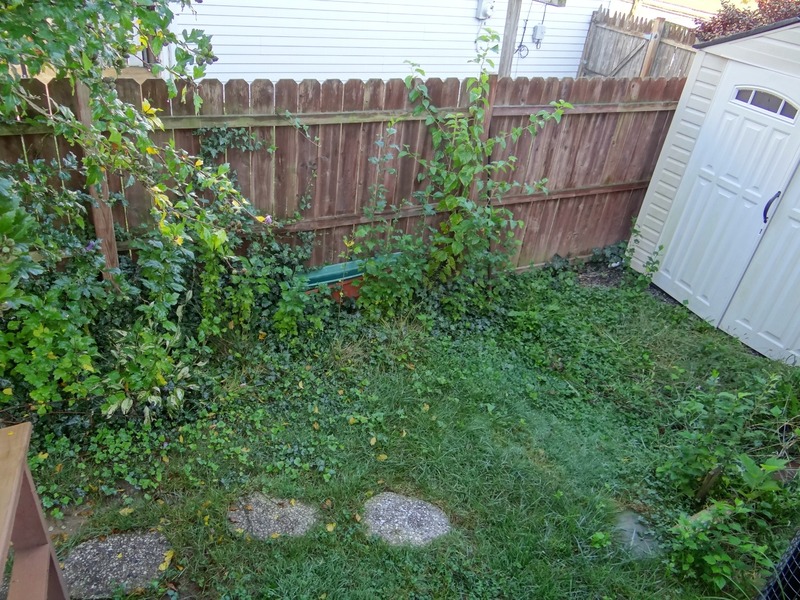 Drumroll please for the shameful untouched side yard next to our wood deck. 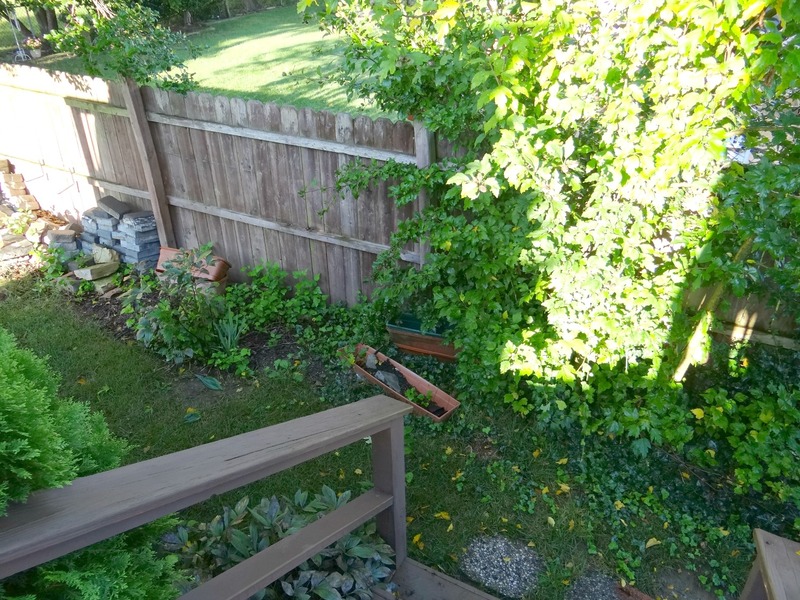 This is the area that people hardly see because it’s tucked all the way to the right of our backyard. In below photo, the sun is shining on our overgrown Rose of Sharon shrub. When in bloom, it’s really pretty with the pink flowers. Let’s just say it’s been a long time since we’ve had it manicured. Here goes the empty planters that we no longer use as well as the extra pavers from a previous outdoor renovation. We did not. 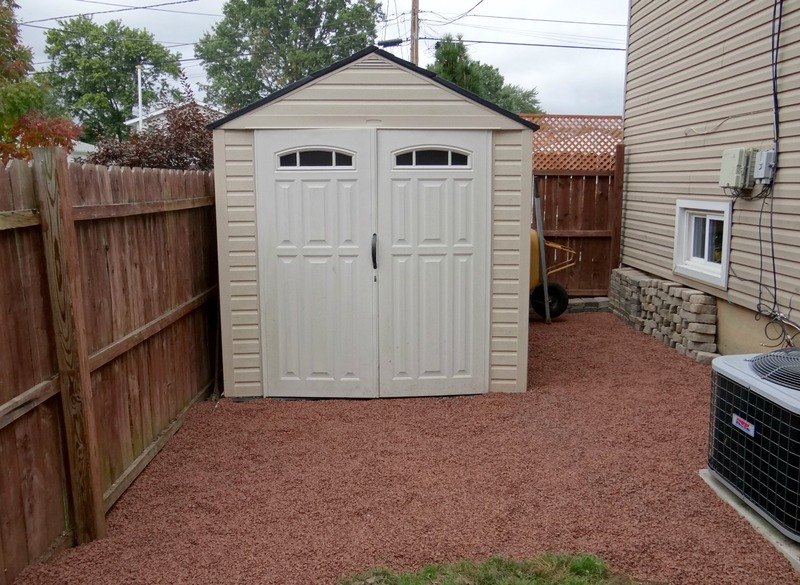 While this is certainly a job that most homeowners can take on themselves, we decided to leave this project for our landscaper. Main reasons? We didn’t have the time or felt like having to haul a bunch of rocks to our backyard. Plus, the quote we received from our landscaper was very reasonable. The entire job cost us $580. What would have taken the 2 of us an entire weekend, it took a crew of 3 guys around 4 hours. 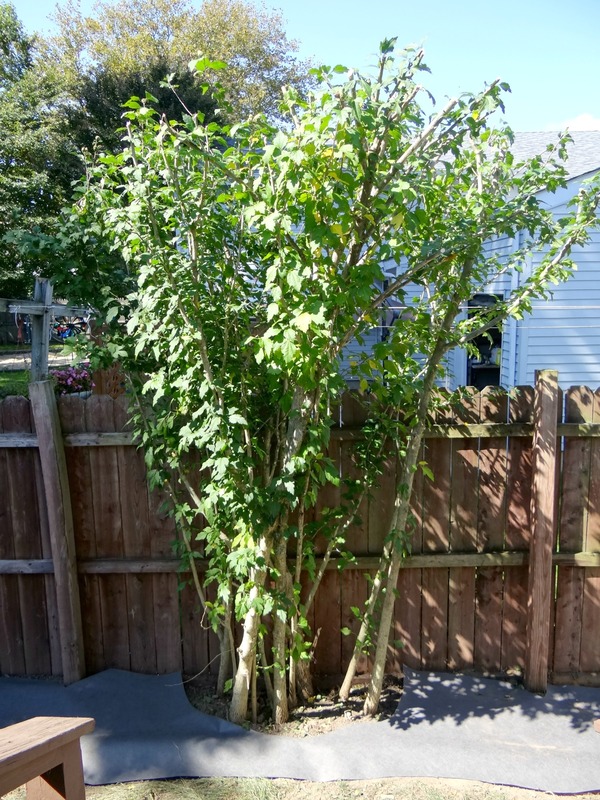 One of the first things they did was trim our overgrown Rose of Sharon shrub. They took off at least 5 feet from the top and 3 feet from each side. After all the weeds were pulled, weed mats were laid down around the sides. Even the spot by our holly tree got some love. Here comes the crushed red stone. SO MUCH better! Look at our extra pavers all stacked up nicely, against our house. 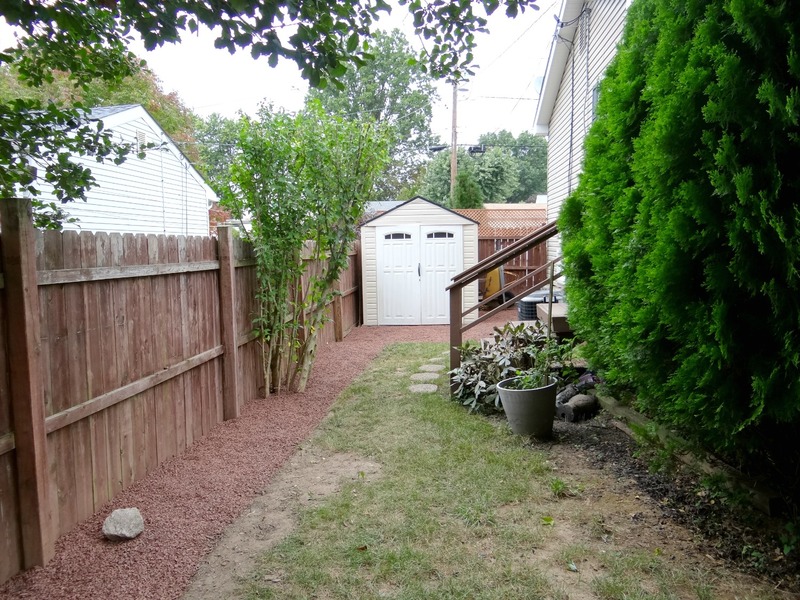 We need to work on the lawn but our side yard looks 110% better after our landscaper team worked their magic! 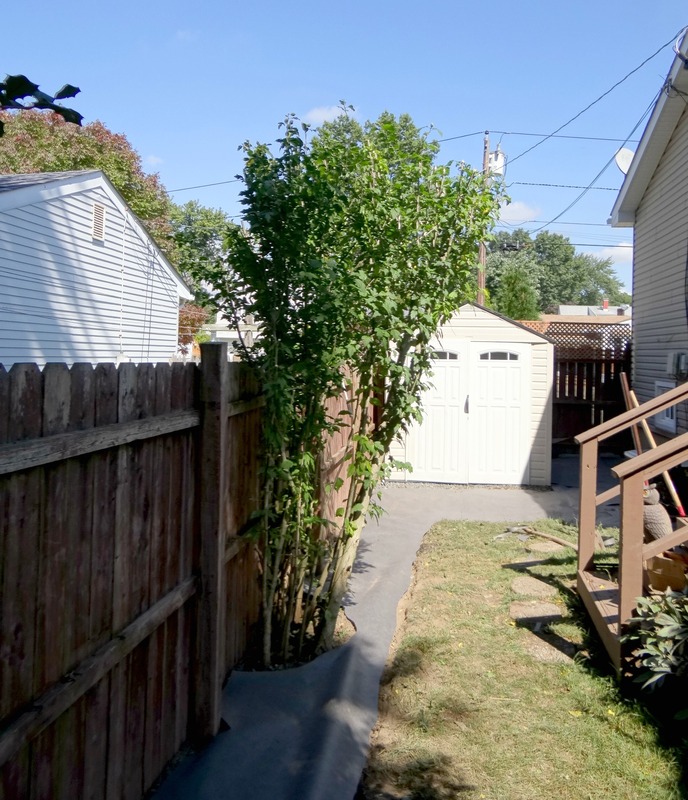 I’m not sure if and when we plan to take the next step to further update our side yard area. It probably won’t be too drastic but if a girl could dream, below are 2 amazing “Side Yard Inspiration” photos that I pinned on my Pinterest account. Love the sleek fireplace and furniture! 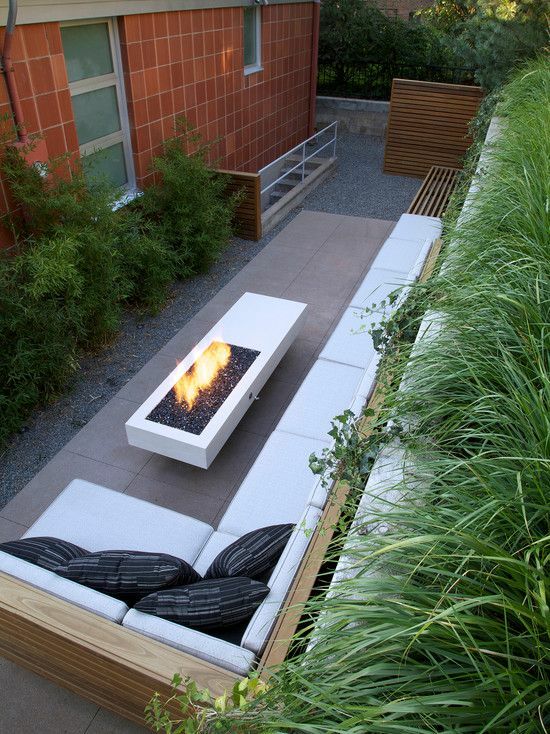 Perfect for a narrow side yard. Photo 2: Image courtesy of Ralph Smith Photography. 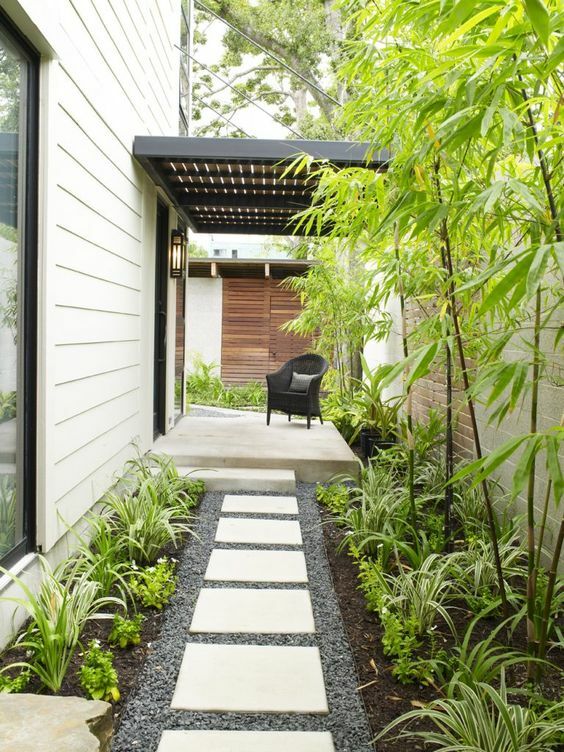 I’m crushing on how clean and tranquil this side yard looks! 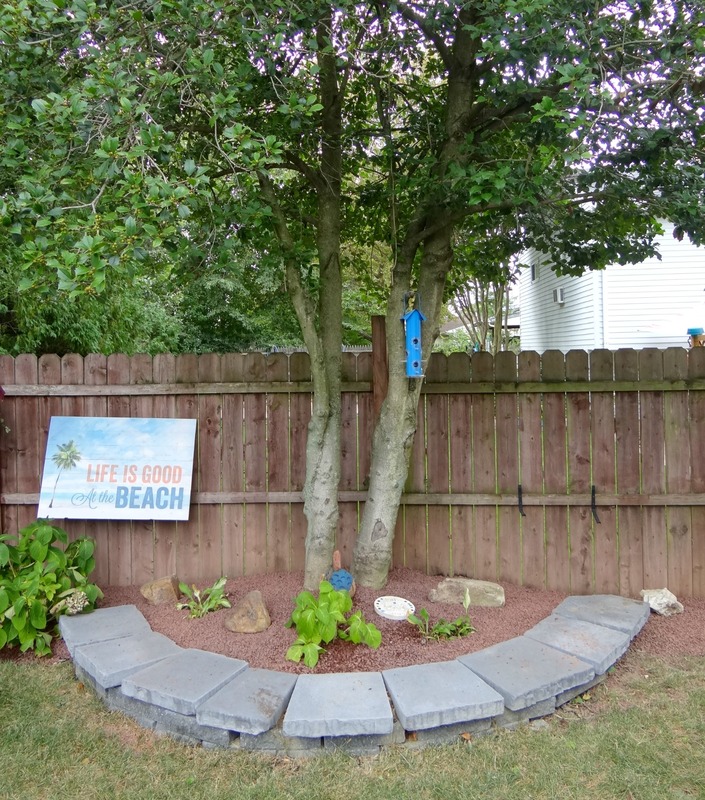 Hope you’ve enjoyed seeing how our side yard transformed from hot mess to something much more easy on the eyes! Any thoughts on this project? Be back with another post next week! I’m loving what you did with your yard! You’ve really done a great job as it looks so cozy. Makes me wish I have something like this! You did an amazing job with the yard. Or at least the landscapers did. I know that a friend of mine’s brother does that and I am always amazed what he can do with the lawn and how good it looks. It looks like a yard I would gladly hang out in. What a beautiful set up!!! 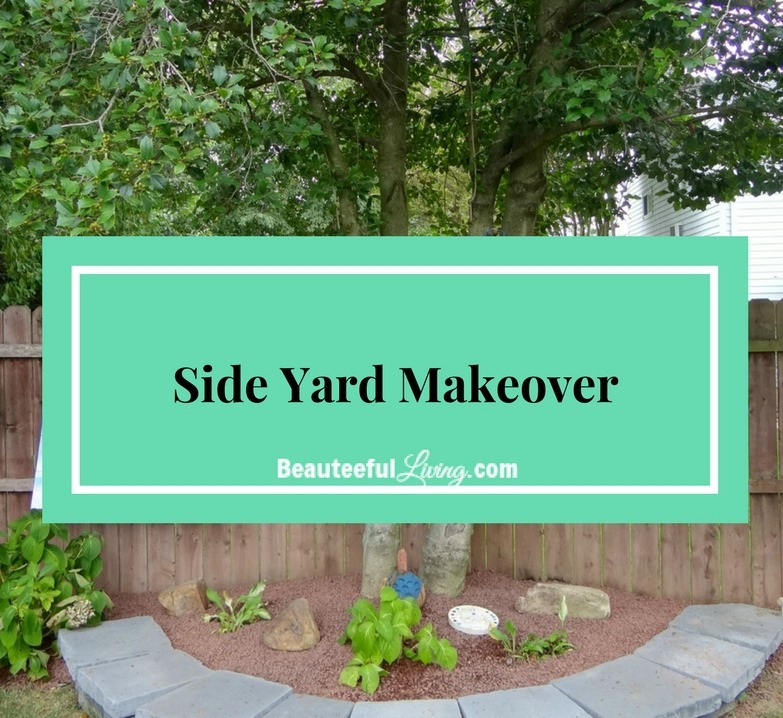 I love everything about your yard and you did a wonderful job on the side yard makeover. That slide to your pool is too cool. What a transformation! You’d never be able to tell it was the same yard. I absolutely love this. Love love love! We made a huge mistake by not using weedmats this year. I will not make That mistake again. Beautiful spaces for your family to enjoy. I need to work on my back yard in the spring. First thing removing that trampoline that drives me crazy. Thanks so much, Shelley. Yes, I hear you about the trampoline. Kids love it but they definitely take up too much space in the yard! Wow!! What a great update!! You have been busy and your work shows. Very updated and nice. 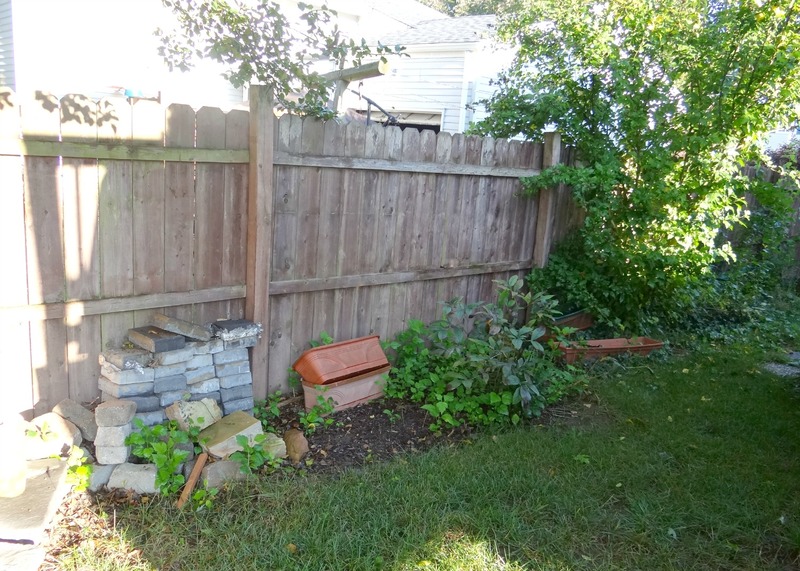 We have a lot of work that needs to be done in our back yard. I hope to work on some of it this fall. WOW, that is such a beautiful transformation! You have created an elegant space for yourself and your family. I just love it! Thanks so much, Michelle! 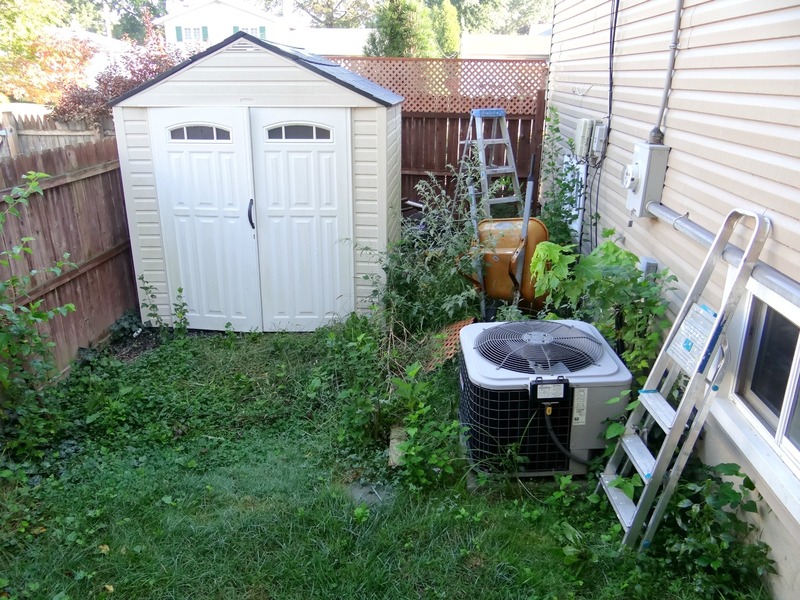 It’s been rewarding to see the entire backyard transformed from how it used to look when we first purchased our house. Hi Janet, the edging is actually crushed red stone. 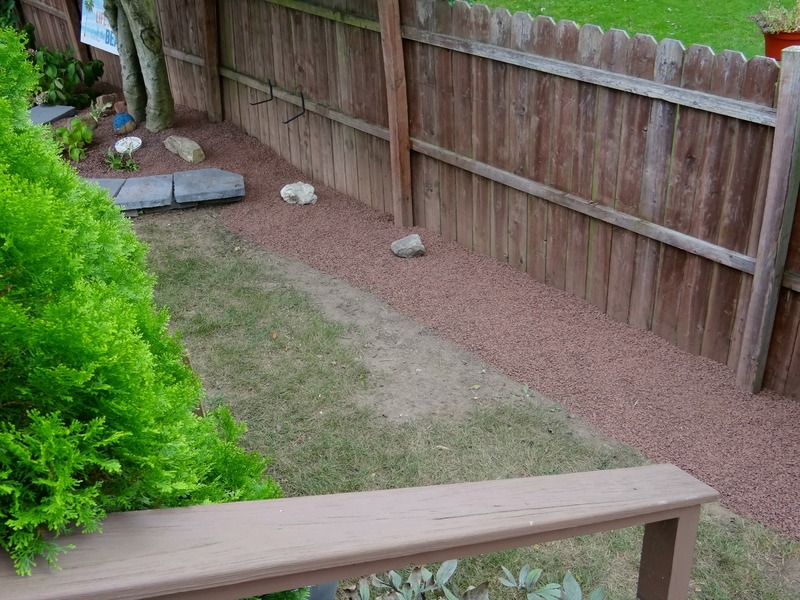 In the past, we primarily used mulch for edging but we’re now starting to like the idea of using crushed stone. 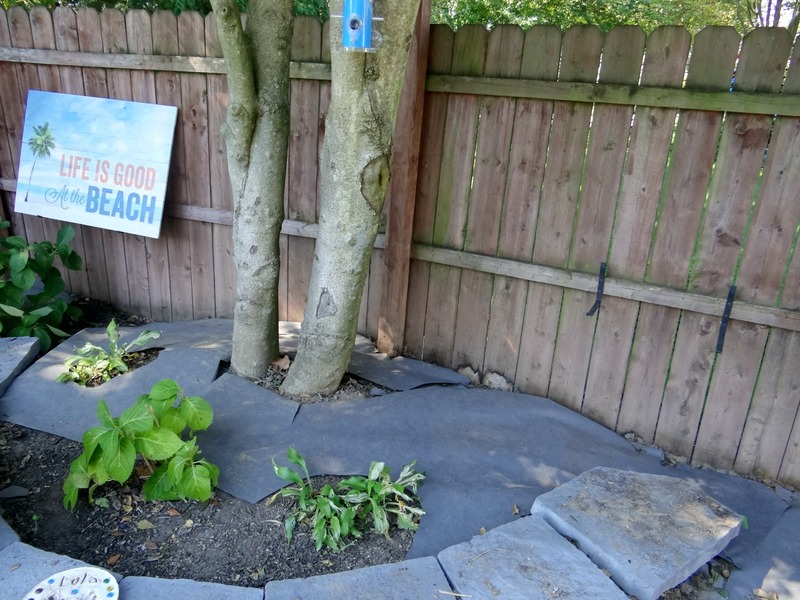 We don’t have to keep adding new mulch every season. Thanks for your question! 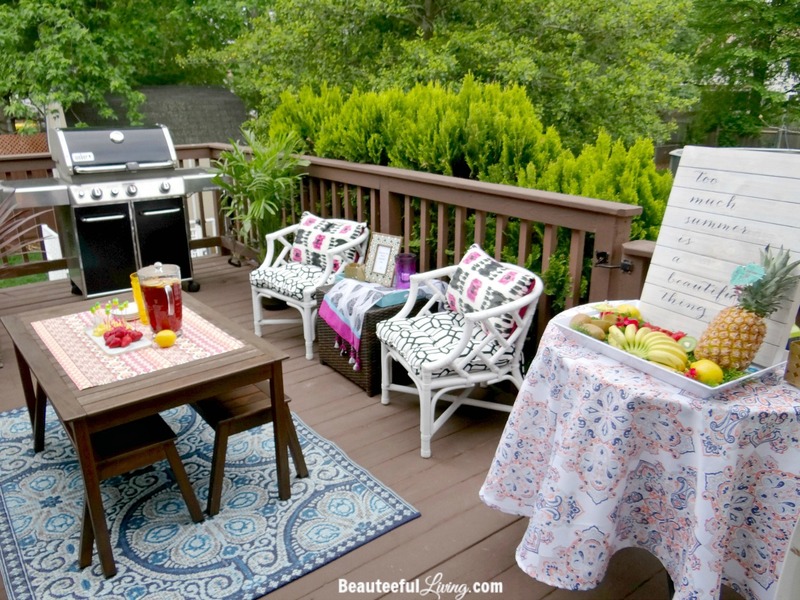 Great side yard reveal! Your landscaper did a fantastic job!! 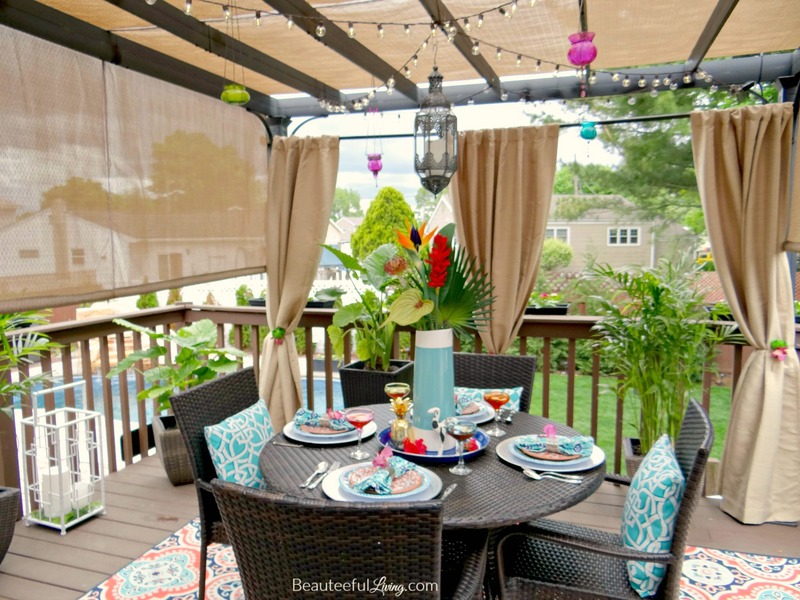 I love the ideas you have for upgrading your side yard, too. Thanks so much, Lauren! My kids were so excited when they saw how empty that area looked. They even started playing around there which is hysterical given it’s still a tight space. Thanks for commenting.